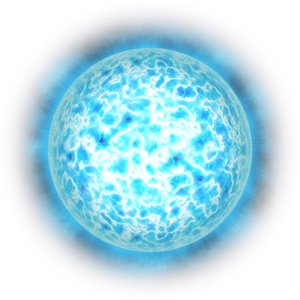 Class B Stars are short lived and powerful formations that burn between ten and thirty thousand Kelvins in temperature. About one in eight hundred stars tend to be of this type, making them fairly rare. They are so powerful and short lived that they rarely move from the place where they are created. The ferocity of these stars prevents the creation of any habitable planets in their vicinity. “A warrior’s life is short lived. A true, battle hardened member of the Keth race defends his or her home with every fiber of their being. Should enemies attack, they will fight until their lungs are filled with blood and their hearts beat no more. The Keth are strong, noble, and powerful, but most of all the Keth are warriors. As time goes on, I fear our people will lose sight of this purpose. These stars are few and far between, and yet even one of these roaring fires is enough to blacken any planet that passes through their gaze The reason for this falls upon you, my people. You will allow our enemies to take what is not theirs, and you will watch as they burn our worlds. You will try to reason with them, when in your hearts you know that your weapons should be the only negotiating party and their lives the only terms you will accept.